Simpson Heating & Air is proud to serve the Dennison community! Please call us today at 330-339-1177 to consult with our home comfort specialist. 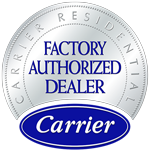 About Dennison, OH - Happy to be your hometown Heating & Air Conditioning Contractor! Dennison is a small Ohio village located in Tuscarawas County, and it has a population of fewer than 3,000 people. This community is also small in terms of size, as it only consists of about 1.3 square miles of total area. Dennison was developed due to the presence of coal and railroads, as it is the midpoint between Columbus, OH and Pittsburgh, PA. In the 1800s, trains needed water after about 100 miles, so Dennison became an obvious choice for refilling. Dennison exhibits the characteristics of a humid continental climate zone, which is typical for the Great Lakes Region. Summers are hot with high humidity levels, while winters are cold and prone to frequent snowfall. 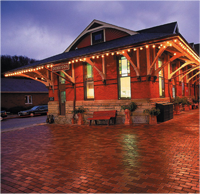 The most famous attraction in this community is the Dennison Railroad Depot Museum. This 1873 station has been renovated into a museum about railroad history, and it also features a model of the former rail yard. Outdoor recreation is also popular in this region, with area parks including McCluskey Park and Midvale Community Park. Larger attractions are located in nearby New Philadelphia, including the Performing Arts Center and Historic Schoenbrunn Village.